Dave Woodrell models the Rio Grande Southern in the late 1930s and early 1940s from Ridgway to Rico, Colorado. He has scratch-built many of the prototype's structures on his beautifully scenicked Sn3 layout. 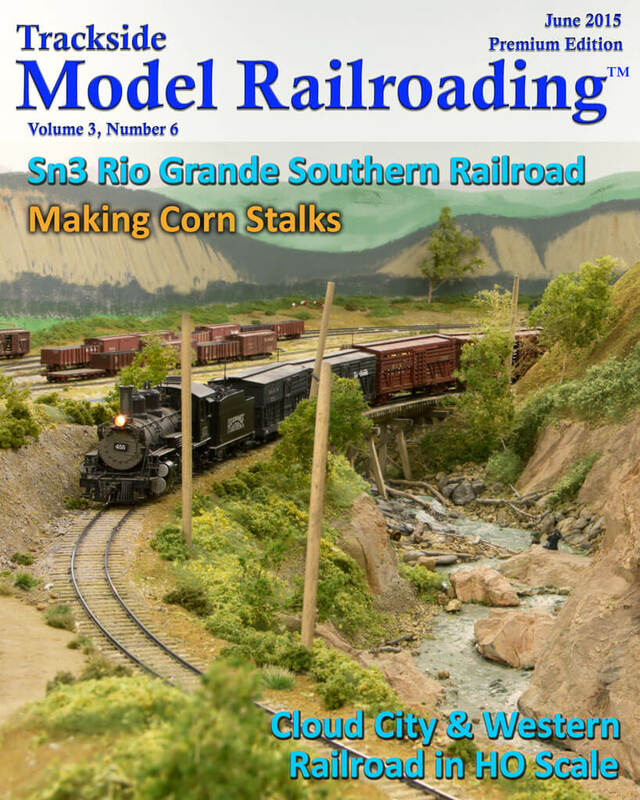 His picturesque version of the RGS should be enjoyable for any Rio Grande Southern or steam era fan. Jack Tingstad models the freelanced Cloud City & Western Railroad in HO scale. 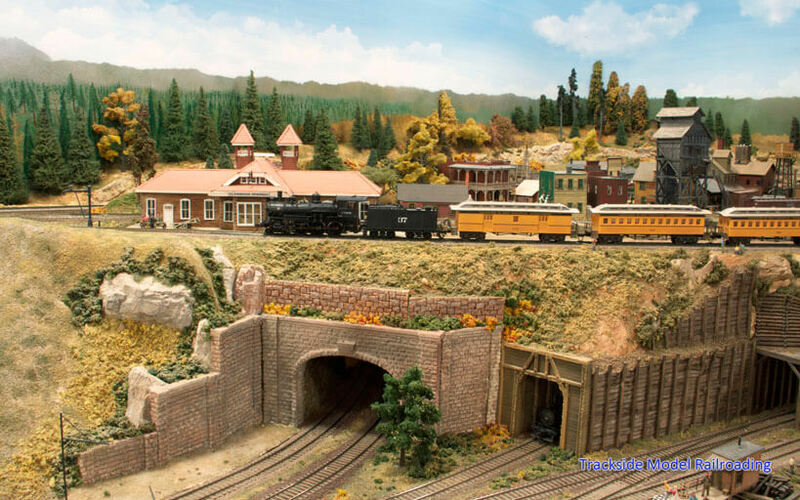 The CC&W is loosely based on the Denver & Rio Grande Southern and runs from Leadville to Glenwood Springs, Colorado. It is predominately a mining railroad, serving several mines in the Colorado Rockies in the 1910s and 1920s. 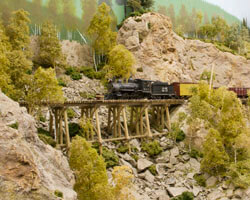 Jack is also a skilled modeler, and his railroad is highly detailed. 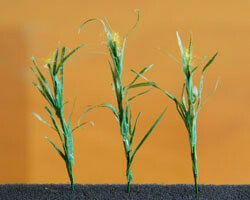 Our easy step-by-step tutorial this month shows you how to create your own corn stalks with inexpensive materials. It is easy in HO, S, or O scale. Each step has a corresponding photograph. The process is quite fast once you have familiarized yourself with the steps, and the materials needed to complete it are not expensive.